European Home breathes modern fireplaces. Our products include the Dutch Element4 line of direct-vent gas fireplaces, French Focus Fires, the iconic suspended fireplaces as well as our own European Home line of gas and electric fireplaces. Our hearth products combine seamless, clean lines with a warm elegance. A word from the owner, Holly Markham: "My passion for clean contemporary styling began when I worked in Europe in the 1990s. I fell in love with superior quality modern materials which are layered and simple and used in many architectural styles". Whether you’re a dealer considering a new product line, an architect working with a client, or a homeowner who appreciates superior quality and design, my goal is to provide you with a fireplace which is extrodinary. Jackson Fireplace and Patio, Inc. is a specialty Hearth and Patio company serving the seacoast including Maine, New Hampshire and Massachusetts. Located in the quaint village of Hampton Falls, our unique 270 year old New England barn is the perfect setting to display and burn some of the best products on the market today! 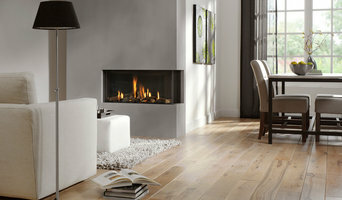 FireElement is the gas fireplace and insert specialist. We only use direct vent technology, which means that the firebox is sealed, allowing no air from your room into the firebox and no fumes into your room. This means we can turn your drafty wood burning fireplace into and efficient, clean and easy to use gas fireplace. If you are building a new home or addition, or want to add a fireplace into an existing room, we can add the perfect gas fireplace without needing to build an expensive masonry chimney, We also have outdoor fireplaces, fire tables and high quality gas grills that add the perfect FireElement to your patio, pool or outdoor room. Come by our showroom and see how we can warm your home. We sell only high-quality Stoves, Inserts, accessories including Mantles, Surrounds, and even Stone Facing. Our skilled service technicians can maintain your appliance to ward off issues and will repair them should any arise. Our experienced chimney experts will ensure your chimney is safe and sound and keep it that way year after year through maintenance and even repair if needed. We feel strongly that our systems approach to your hearth is most effective and what sets us apart from the competition. In addition to our hearth offerings, we feel strongly that we have the best assortment of Outdoor Living products in the area. This assortment includes Outdoor Fire Pits, Outdoor Fireplaces, and a wide range of high-quality gas, pellet and hardwood charcoal Grills and Outdoor Kitchen components. We are a family owned & operated company who specialize in custom wood and pellet fireplace/stove installs. 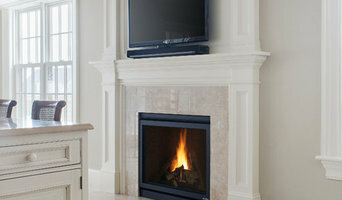 We are your one stop shop for installs, cleaning, repairs, new construction and fireplace design. Beginning in a tiny, 800 square foot retail store, we have expanded to two showrooms, serving over 10,000 customers per year, with over 50 real live burning fireplace and stove displays — and we're always adding more! Our Arundel, ME showroom is 8,900 square feet; and our Middleton, MA showroom is 10,000 square feet! Our Arundel and Middleton showrooms have ample parking and large outdoor areas. We are a full service hearth provider. 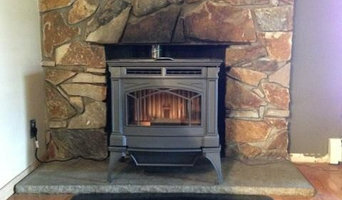 We sell, service, and install Gas, Wood, and Pellet: Stoves, Fireplaces and Inserts. We also offer custom masonry, stainless steel liners, and stainless steel chimneys. Natick Fireplace is a full service fireplace, stove and grill center located on Route 9 West in Natick Massachusetts for over 40 years, making us one of the oldest fireplace shops in New England. Our professional sales staff has over 70 years of combined experience in the hearth industry. We offer the largest showroom in the area with over 40 burning displays. We feature the best selection of quality brands - all at competitive prices. We offer professional installation for your purchase and service after the sale. Hours of Operation: Tues.-Friday, 10-5 Sat., 9-5 Closed Sun. & Mon. Custom fireplaces with quality assurance! HearthWorks Centers are ready to serve our Massachusetts and New Hampshire customers with 3 locations, with a complete offering of wood, pellet and gas stoves or fireplaces. Our locations are managed by experts and staffed by certified personnel to advise you with your stove or fireplace project. So, whether you're a DIY or you need professional installation to go along with your new purchase, contact us today! Our customer service is second to none! *Authorized Mendota Hearth Dealer* We offer an excellent selection of high quality gas fireplaces, wood and pellet stoves and inserts, gas logs, glass doors, and much more. Our installation crew and service technicians are knowledgeable, experienced, and friendly. Our recently updated 4,800 square foot showroom has fifty burning displays. There are beautifully finished gas fireplaces, stoves, inserts, grills and accessories as well as pellet and wood burning stoves in styles that vary from traditional to contemporary. Speak with our knowledgeable team and we’ll help you imagine the possibilities, giving you informed advice on how to select the best product for your lifestyle and budget . We look forward to helping you make your house a home. *Authorized Mendota Hearth Dealer* Fireplace Re-Fitter was started due to a demand from customers needing custom installations of heating appliances that would not fit in the space designated by the homeowner for that appliance. FPR has been customizing and fabricating both the units and the spaces for them to go for 18+ years now bolstering an 100% success rate to date. What should you know about buying a fireplace in Hampstead? Since wood smoke contributes to air pollution, many cities have banned the use of wood-burning units. If you’d like to buy a wood burning unit, check the Hampstead, NH city policies first. If your home already has a wood-burning unit that you’re concerned about, contact a fireplace manufacturer to replace your wood-burning unit with an environmentally friendly electric or gas alternative. Gas inserts can be efficient heaters and may lower your electric-heat bill. Many adjust to provide high heat on a cold night or a low-burning flame for ambience. Interior fireplaces and mantel designs are as varied as home interiors. From custom fireplace mantels made to conceal a flat-screen TV to custom hearth designs with elaborate Renaissance-style stone mantels, the latest designs can be found by visiting Hampstead, NH fireplace showrooms. Find fireplace manufacturers and showrooms, plus fireplace installation professionals, on Houzz. 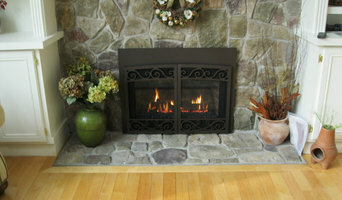 Go to the Professionals section to find Hampstead, NH fireplace design and installation experts.